On the second day of the three-day holidays around Tomb Sweeping Day, also known as the Qingming Festival, parks in Beijing have experienced an upsurge in visitors, which has led to uncivilized tourist behavior, officials at the Beijing Municipal Administration Center of Parks told the Beijing Youth Daily. The center is considering establishing a "blacklist" to restrict loutish travelers - for example, those who destroy cultural relics and refuse to stop - from entering the park, the report said. The report said that some tourists have been spotted climbing peach trees, picking flowers and damaging plants. There were also people who fished near the lake and sold things privately in the park. 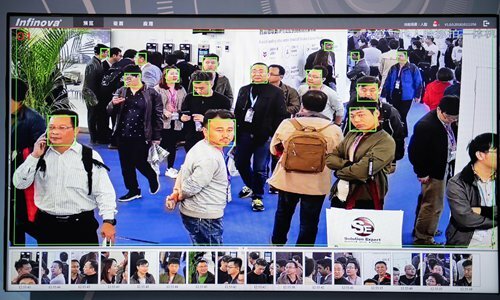 Mi Shanpo, an official at the center, said "facial recognition" and other technologies will be used to detect uncivilized behavior. In 2017, six facial scanners were installed in the male and female sections of the busiest toilets in the Temple of Heaven, after reports of an increasing number of local residents raiding the park's toilets to steal toilet paper. The China National Tourism Administration implemented tighter rules for tourists in 2016, and placed 20 people who failed to observe public order and scenic regulations on the blacklist. The blacklisted travelers' bad behavior included quarreling, fighting, disturbing the peace, climbing on statues and stealing scenic assets. According to the center, more than 700,000 people visited 11 parks and the Museum of Chinese Garden and Landscape Architecture by Saturday, a yearly increase of 75 percent. The Summer Palace, Yuyuantan Park and Beijing Zoo were the most popular destinations.